The weather has been in the upper 70’s and 90’s with the water temperature reaching about 78 degrees. The water is crystal clear. Ron Stevens of Livermore, put a piece of beef jerky on his pole for bait and he caught a 6lb. catfish. Ron was fishing left of the boat rentals. Gabriel Rezendas caught and released 8 bass fishing in the arroyo. 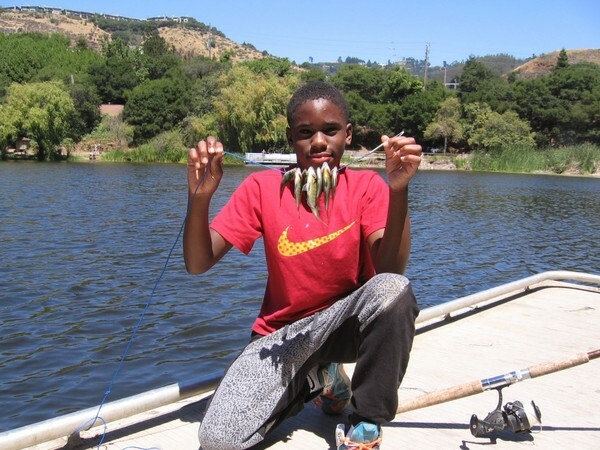 Gabriel caught and released 6 bass float tubing in the arroyo and he was using flukes. Using robo worms for bait, a 3lb. bass was caught and released.